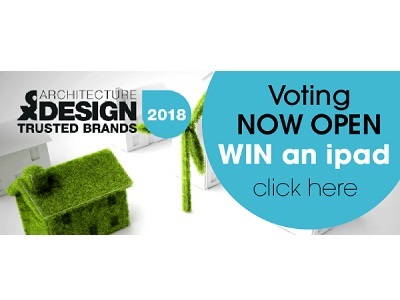 Weathertex has been nominated for Architecture & Design's Top Trusted Brands Survey 2018. Architecture & Design is once again running a major industry poll of the brands trusted most by architects, builders, designers and other professional specifiers. Vote now and win an Apple iPad! The poll closes on 1st November 2018. Weathertex was voted Number 1 Top Trusted Brand in Architecture & Design's Top Trusted Brands Survey 2016, which saw 341 of Australia’s best brands in the architecture, building, construction and design industries competing for top honours. Weathertex is an Australian family-owned cladding manufacturer with over 50 years in the business. Weathertex’s sustainability credentials are impeccable: A natural product with no chemicals, glues or formaldehydes, and a better than zero carbon footprint, Weathertex is also the first manufactured product in the world to receive the highest Platinum Global GreenTag certification for their Natural Range. Weathertex is extremely durable, lightweight, termite-resistant and easy to install using standard carpenter tools, and comes with a 25-year guarantee against rotting, splitting or cracking.